A sad week for New York Mets fans, as the deaths of former pitchers Bob Myrick and Harry Parker were announced this week. 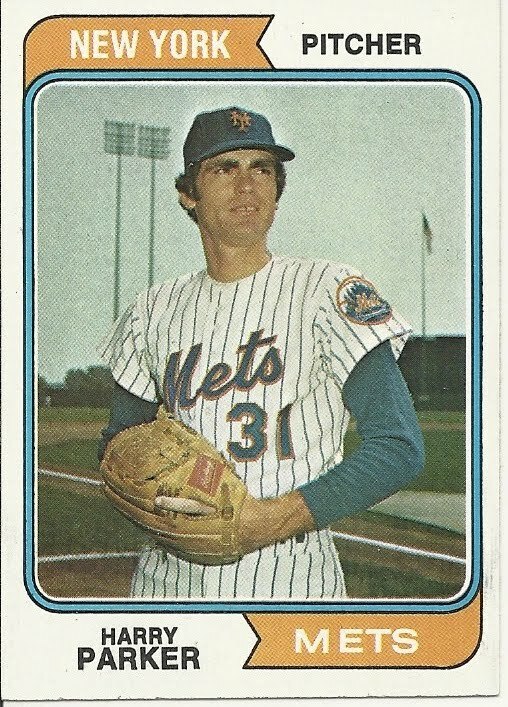 Parker was a right-handed pitcher for the New York Mets from 1973-75, pitching in three games in the 1973 World Series against the Oakland Athletics. Parker was the hard luck loser in Game 3, when catcher Jerry Grote dropped the third strike on Angel Mangual, allowing Mangual to reach base and advancing Ted Kubiak into scoring position. Kubiak scored during the next at-bat when Bert Campaneris singled him home for the winning run. Parker passed away on May 29th, 2012, but reports of his death only surfaced this week. Myrick was a promising left-handed reliever out of Mississippi State University who pitched from 1976-78 with the Mets. Myrick was a favorite of Mets manager Joe Frazier, who brought the lefty to the big leagues after pitching for him in Tidewater the previous season. Myrick passed away August 23rd in Hattiesburg, Mississippi, after suffering a heart attack.